According to an unnamed senior Western official, US President Donald Trump is preparing to diplomatically recognize the areas of Syria that the Kurdish-led and US-backed Syrian Democratic Forces (SDF) control, Asharq Al-Awsat newspaper reported. 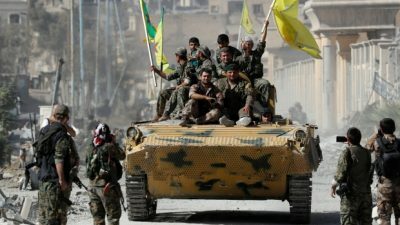 “The 28,000 square km territory, controlled by the Syrian Democratic Forces, a collection of predominantly Kurdish militias including the YPG People’s Protection Units, took its first step toward US recognition after US Defense Secretary Jim Mattis promised to send US diplomats to SDF-controlled areas to work alongside US troops operating in the region,” the report said. 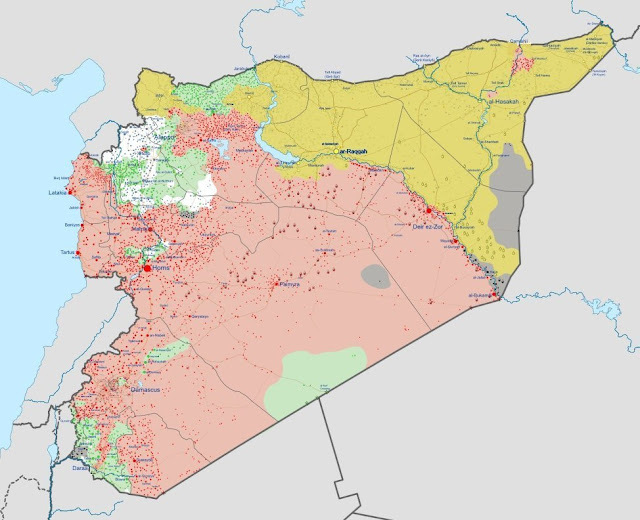 The SDF control the parts of Syria seen in yellow. “According to the official, US initiatives in the region include empowering local councils, backing reconstruction efforts, assisting in training of government agency workers, improving public services and infrastructure, protecting SDF areas and engaging in the upkeep of military bases, all of which will eventually lead to diplomatic recognition,” the report continued.